My wife is great about always stocking my work bag with fruit and other healthy snacks. Only problem is I don’t always eat everything she gives me every day. So it piles up. 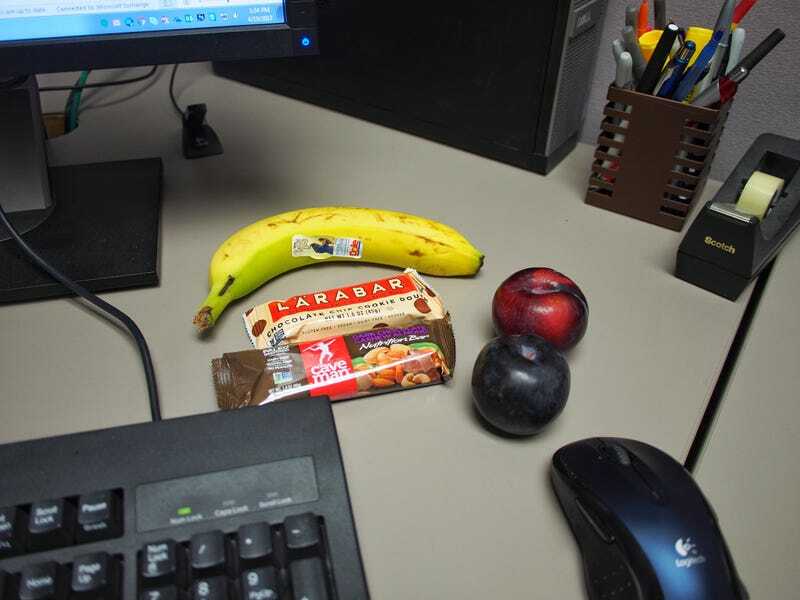 But at least I get to look like a well-stocked healthy eating guy when people walk past my desk.